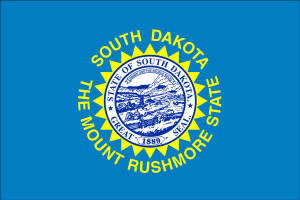 Although South Dakota has no official regulations or statutes specifically related to homeschooling, South Dakota Codified Laws, Section 13-27-2 provides that “A child shall be excused from school attendance because the child is otherwise provided with alternative instruction for an equivalent period of time, as in the public schools, in the basic skills of language arts and mathematics.” As per South Dakota Codified Law 13-27-1, effective July 1, 2009, students in South Dakota are required to attend school until they reach the age of 18. Previously, the state’s compulsory school attendance age was 16. South Dakota parents wishing to homeschool their children are required to submit an annual application for exemption from public school compulsory attendance laws to the Superintendent of Schools of their local school district. The parent or guardian should identify, in the Public School Exemption Certificate, (a) the place where the child will be instructed; and (b) the name(s) of anyone who will be instructing the child. The first time a parent submits an exemption request, a certified copy of each student’s birth certificate must be included with the request. Annual renewals do not require re-submission of birth certificates. Alternatively, a parent may file an affidavit in lieu of the birth certificate as issued by the Department of Health; OR provide an affidavit notarized or witnessed by two or more people, swearing or affirming that the child identified on the request for excuse is the same person appearing on the child’s certified birth certificate. The individuals instructing the child are not required to be certified or licensed to teach in South Dakota. According to S.D. Codified Laws Section 13-27-3, “The secretary of the Department of Education may investigate and determine whether the instruction is being provided. Failure to provide instruction is grounds for the school board, upon 30 days’ notice, to revoke the excuse from school attendance. The secretary of the Department of Education may inspect the records of an alternative education program with 14 days’ written notice if the secretary has probable cause to believe the program is not in compliance with this section. The records to be inspected are limited to attendance and evidence showing academic progress. Records maintained should include attendance sheets and a report of “evidence of progress” for each student in the homeschool.